Wow! This has to be Kelly Jamieson’s most powerful writing yet. I started crying in the first chapter and I honestly couldn’t put it down. This is the story of a family losing a mother and a sister to cancer. It is also the story of two people who never expected to be sharing parental responsibilities for a grieving twelve-year-old girl. The family moments between Sara, Peyton, and Chloe at the start of this book are heartbreaking. The bond between the sisters is beautiful and the struggle for Chloe to come to terms with her mother’s death is raw and real. There is an intense honesty in the depiction of this family’s journey through palliative care. Drew is in self-destruct mode when he finds out he has an eleven-year-old daughter. This story looks at the darker side of being a professional athlete and Drew’s struggle to find an identity after hockey is a messy and ugly one. Drew’s tentative relationship with his daughter is awkward and sweet. I love the way the relationship between father and daughter makes both stronger as they both struggle to cope. I love the way he slowly won Sara and Peyton’s confidence. Peyton is a career focused overachiever who finds herself unable to control her sister’s illness. The fun aunt is forced into a very serious parental role she never expected or wished for. And as her life spirals out of her control, she finds her priorities shifting and herself without a plan for the first time in her life. I feel that this book marks a shift for this author. 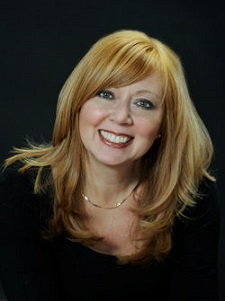 In the past, I’ve read Kelly Jamieson for light and easy romance. This isn’t light or easy. The complexity of the characters and their intricate relationships makes this a more substantial book. The subject matter makes this a difficult book – though I never found it too dark or depressing. I really loved this story and I look forward to more writing like this from Kelly Jamieson. Having never read a story I didn't enjoy by Ms. Jamieson, I was delighted to get the opportunity to read and review this latest book from her. My faith was well founded. I am a big sports fan, and sure this falls in the category, but actually it is much bigger than that – as it looks hard at a man whose career is over, and now he has to think about what comes next... and initially he is floundering. But thanks to being recognised in an article, he's discovering that his future is completely different to the pity party in which he currently indulges. I love the turn about, even if the reason is terribly sad. And that there is a spark of hope not just due to his daughter but also her aunt, is a delicious bonus. Very delicious indeed. A story which could have been beset by recriminations and sadness is in fact filled with hope and family. Given Ms. Jamieson often writes series, I have inevitably been wondering where this could go next, and I always think that is a sign of a good book – wanting more! 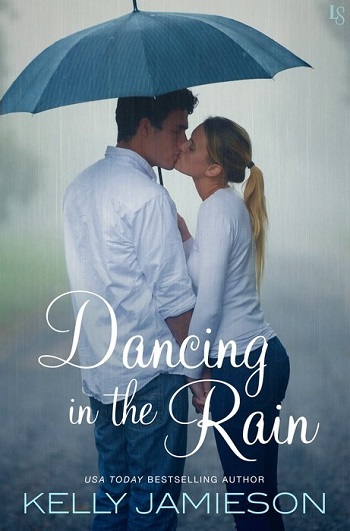 Reviewers on the Wicked Reads Review Team were provided a free copy of Dancing in the Rain by Kelly Jamieson to read and review.